In my book, Theory of Financial Relativity, I researched the economic characteristics which are in place when inflation is rampant in the U.S., like the 1960s and 1970s, and time periods when deflation was a major concern, such as during Great Depression and Post WWII. The interesting aspect of the historical data is that when the Fed uses Quantitative Easing policies in isolation, inflation is rarely an issue. In isolation QE is more likely to drive asset values such as stocks and real estate as the cost of money is artificially suppressed below the risk premium normally expected by investors. The real pressure for upward moves in consumer price inflation occurs when government spending grows at an abnormally high rate, and the Fed monetizes Treasury debt by leaving too high a level of excess reserves in the U.S. monetary system. Presently there are over $2.3T in excess reserves which sit idle at the Fed waiting to be ignited or extinguished by future U.S government borrowing, private market lending activity or the Fed selling Treasuries to withdraw the reserves from the monetary system. The excess reserves have been created by the Fed purchasing U.S Treasury bonds from holders who are either unwilling, or potentially unable to re-invest in the U.S. economy. Where do you find holders of U.S. Treasuries that have been called which cannot re-invest the funds? Cash held off-shore by large companies such as Apple (AAPL) and other large multinational corporations who will not repatriate the cash into the U.S. because they will incur a large tax bill if they do. Apparently, the owners of the cash are awaiting a future event before they are willing to put the idle money to work. If my assessment is correct, quite literally, it will take an “Act of Congress” to unleash the reserves. And, until these international cash hoards are put to work in the world economy, the odd side effect is that the U.S. dollar becomes stronger relative to other international currencies. The U.S. President and Congress, not the Fed, hold the key to reversing the present international stalemate with respect to the strength of the dollar. And ultimately, it is the weakening of the U.S. dollar relative to the rest of the world economy that the Fed needs in order to raise interest rates off of the zero bound. The recipe that the Congress needs to follow in order to break the current economic log-jam is to take actions to weaken the U.S. dollar in a way which is expected to benefit the U.S. economy. The first step, and it was already taken in November of 2015 with the recent U.S. budget passed by Congress, is to no longer place any limits on the amount of money the U.S. Treasury can borrow. This gives the U.S. Treasury the ability to soak up any excess U.S. dollar demand flowing from overseas sources (note current China reserve outflows) by simply floating new debt offerings – even if the Treasury does not currently need the money. In November and December of 2015 the U.S. Treasury borrowed over $612B from public sources once the debt ceiling was lifted. This was at a time when the projected future year budget deficit was far less, and seemingly the funding was not needed. U.S. dollar collateral shortage in the world economy is an odd by-product of the grand Fed QE policy which is now creating an odd situation in which the U.S. Treasury is starting to use an equally unorthodox process of borrowing money it does not presently need in order to cap the strength of the U.S. dollar by creating a greater supply of dollars in the world market. The second step is to encourage multi-national corporations to repatriate U.S. cash hoards held overseas back into the United States. This so-called “corporate tax reform” is a big presidential election issue. It appears that no matter which party candidate is elected, some form of this policy will be passed. The only question is how it will be implemented, and how much government spending on infrastructure and other programs will increase as a result of the deal. The fiscal spending aspect of this grand political plan is the most important thing for the U.S. economy and future Fed monetary policy actions. If the Congressional action can invoke a rush of money into the U.S. economy which monetizes a large chunk of the U.S. debt, inflation, and hopefully some real economic growth, will become the excuse the Fed needs to raise interest rates back to normal levels relative to history. Politics is the “art of the possible”, and if the upcoming Presidential election creates the impetus for a “tax re-form” deal between the U.S. government and multi-national corporations, the Fed will likely have plenty of room to move rates back to normal. And they will have to do so quicker than expected if the government spending machine is cranked up as a result of the deal, as I expect it will be. However, a crisis prior to the politicians running to the rescue is standard operating procedure in order to give politicians more latitude in crafting a deal. 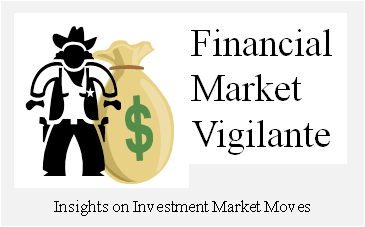 The bottom-line, look out below for stocks throughout 2016 as this expected scenario unfolds. Current stock market values must re-set lower on a broad basis if U.S. interest rates are going to move higher. And, as long as a corporate tax break remains on the table as the most likely fiscal plan post the 2016 Presidential election, the trend for U.S. interest rates will definitely be up.